Need something ASAP? Have a question? Curious about our specials? See why our customers keep coming back! Since 1993, we have been making people smile. We take pride in having our customers come back again and again for the best value in quality food the Lake Area has to offer. Please come in and let us show you how we can make you a believer too! We have more than our fine USDA Prime and Choice beef and meat section. We have a variety of ready to eat and heat and service items. Try our spinach dip, smoked ribs, chicken wings in different flavors , green bean casserole, homemade pies, take & bake casseroles, breads, and a full deli case. We process wild game. We can create a custom set of meats or choose from our menu! We Do It All - Just Ask! If you have any questions about what type of game we process or questions about our policies please call The Butcher Shop before bringing in your game. The Butcher Shop adheres to Missouri state law. We keep it delicious and legal! Come on in! Want to be the first to find out about our giveaways? Be sure to sign up for our newsletter! 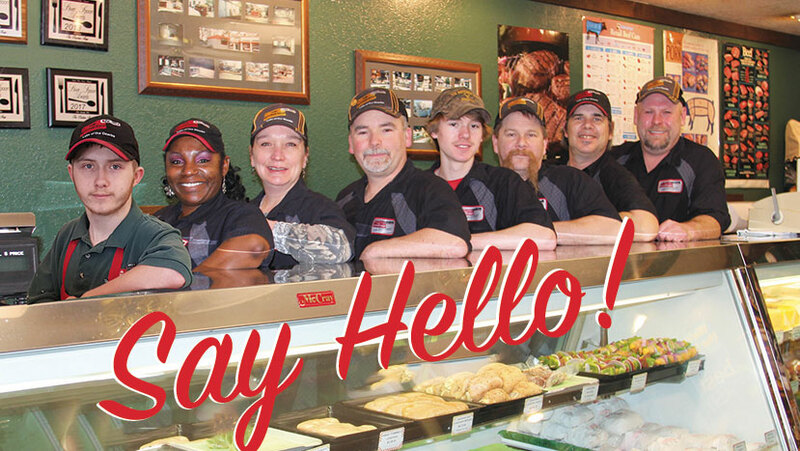 Find out more about everyone who works at The Butcher Shop!